I decided to leave the fakes out of this and display only legit ones. So far I have been able to get 2 of them but more coming. A new addition to my collection. 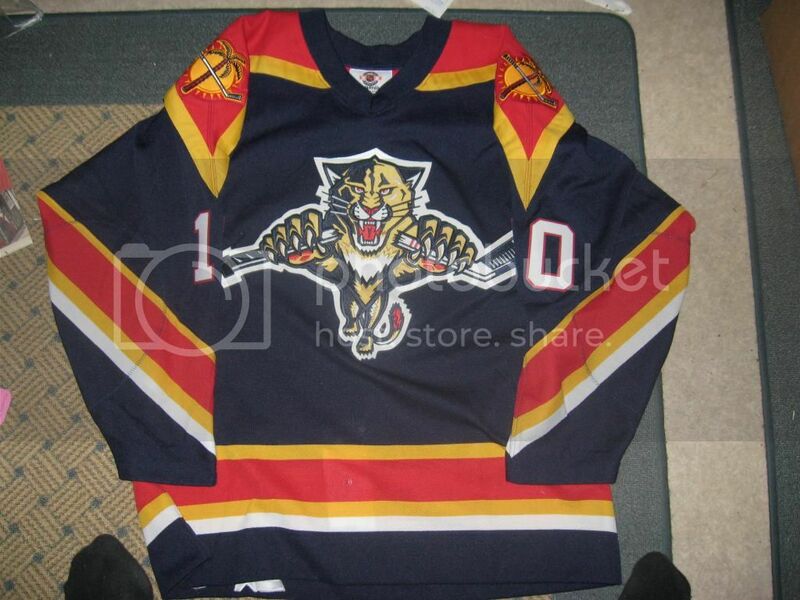 Florida Panthers CCM Center Ice Authentic. Nice Guerin jersey. That patch really makes it special. Added a new one to my collection after a little while. I finally put together a webshots page. 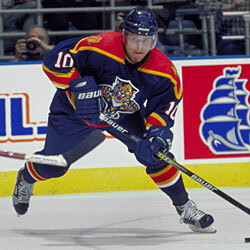 1998-99 Florida Panthers #10 Pavel Bure. He only played 11 games that season due to injury. 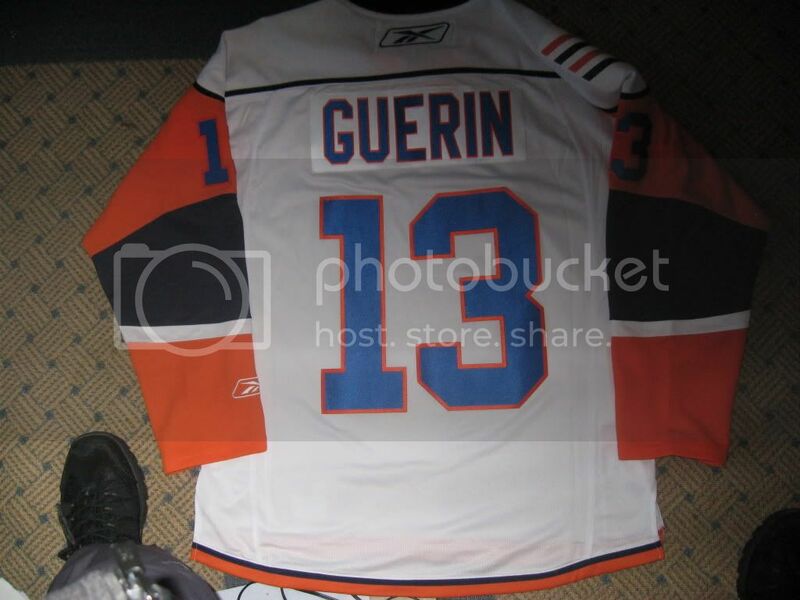 Why does your Isles Guerin have the lettering of the current road jersey? Did you order it like that? I was thinking the same, it's missing the front chest numbers, the sleeve numbers should be white and the back numbers and C look almost royal blue instead of navy. Haha, I didn't even notice that. 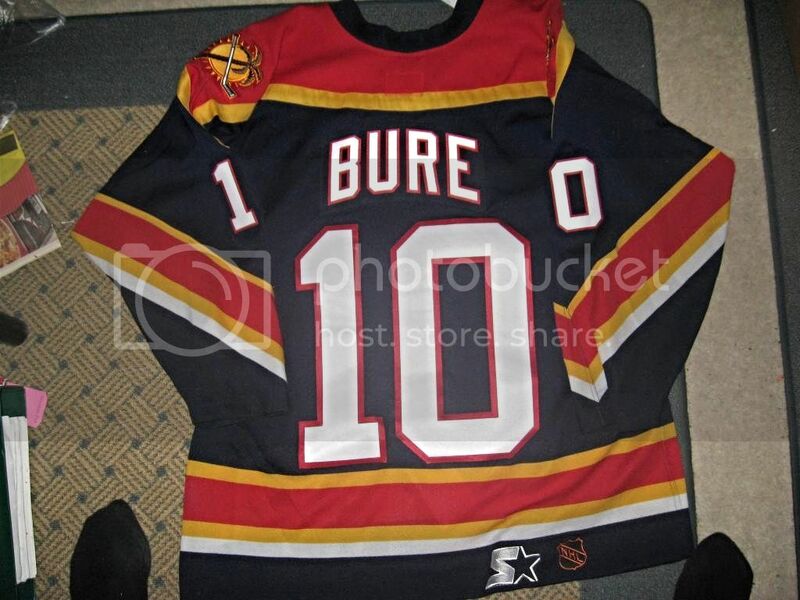 I was looking at that Bure jersey for quite a while. 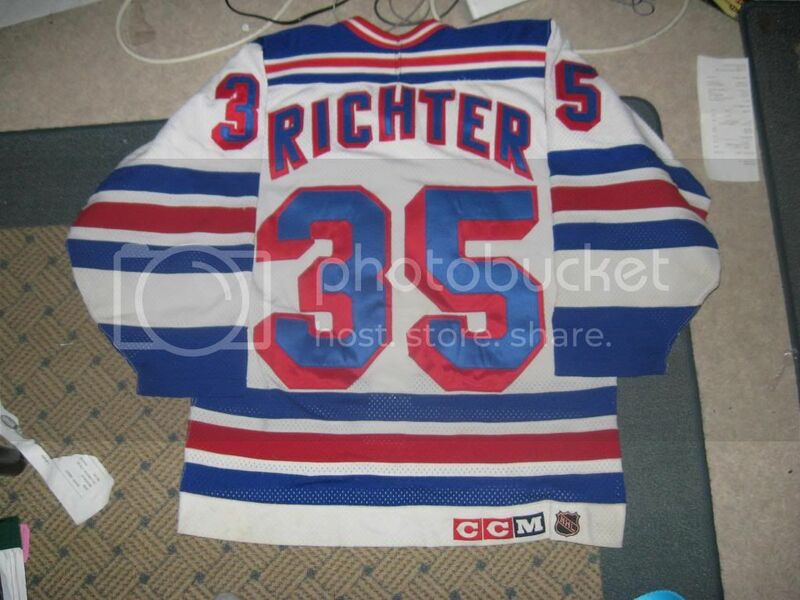 Nice jersey but I'm not sure if he ever wore a Starter 3rd. 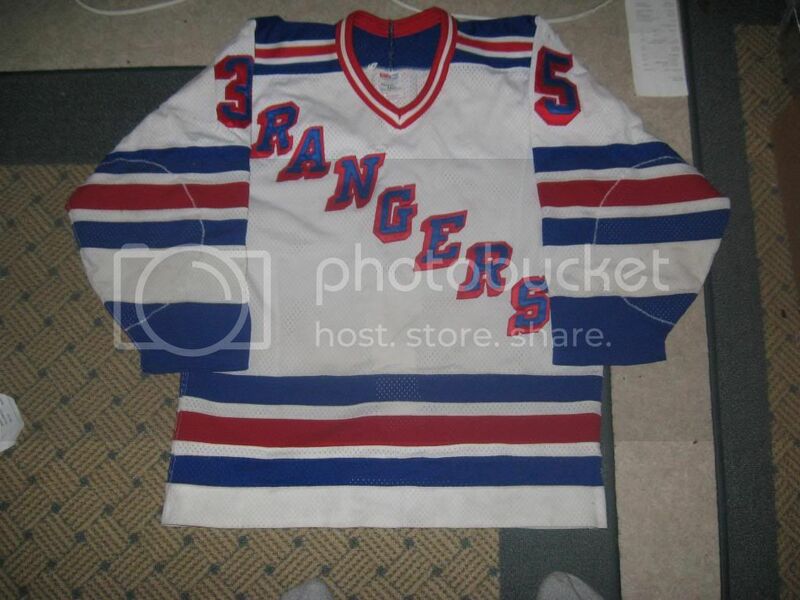 With the Isles jersey, the kit was made like that at Coolhockey. The sleeve numbers were blue when I got them, also the chest number 13 wasn't included on the kit. 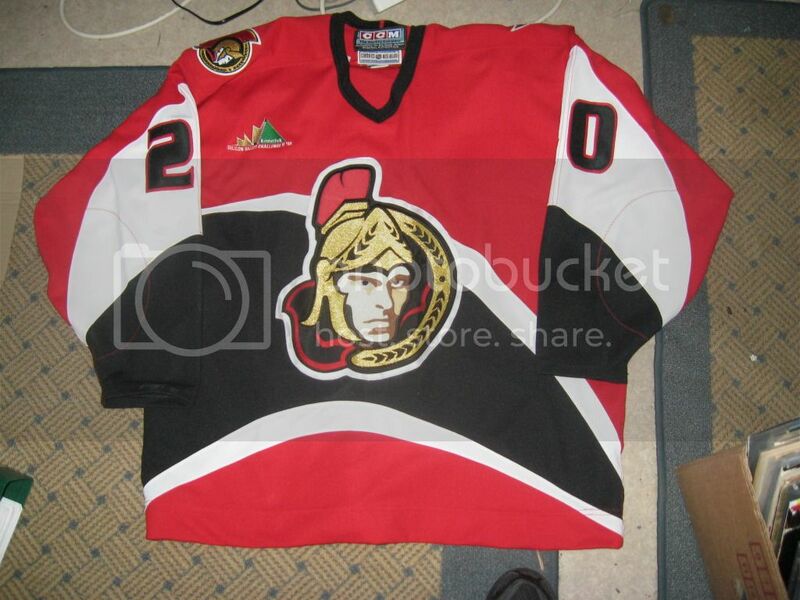 I received the Senators jersey as it is on the picture. 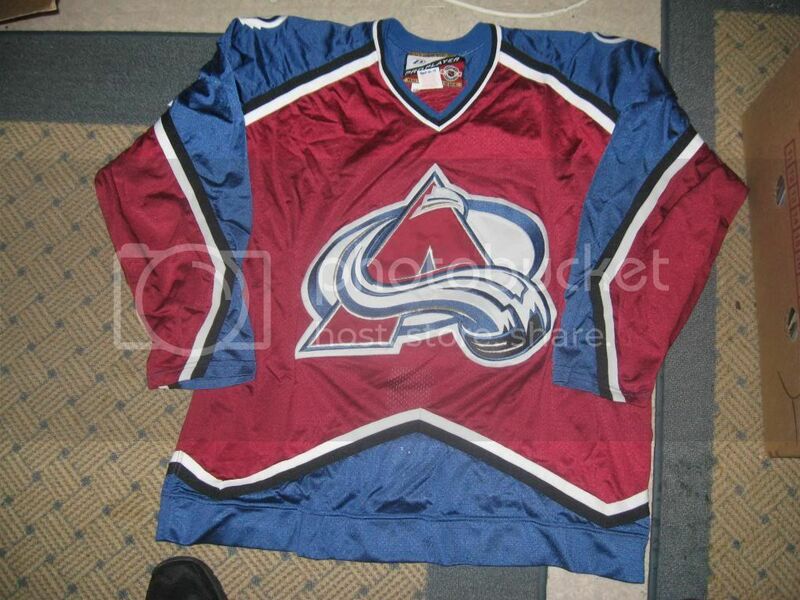 I plan to strip it and re-customize it as a Jani Hurme rookie jersey. 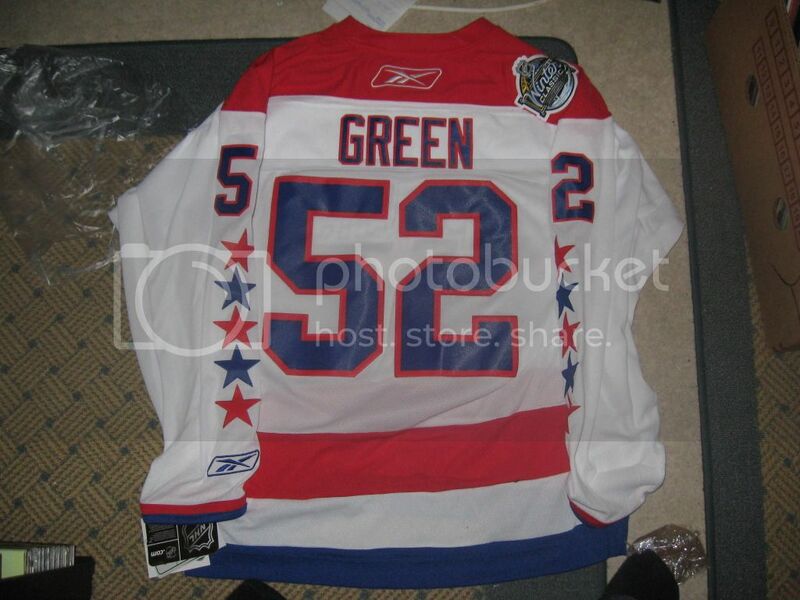 I'm pretty sure the pic is from 1998-99 season, since he wore an "A" on his chest on the following season. 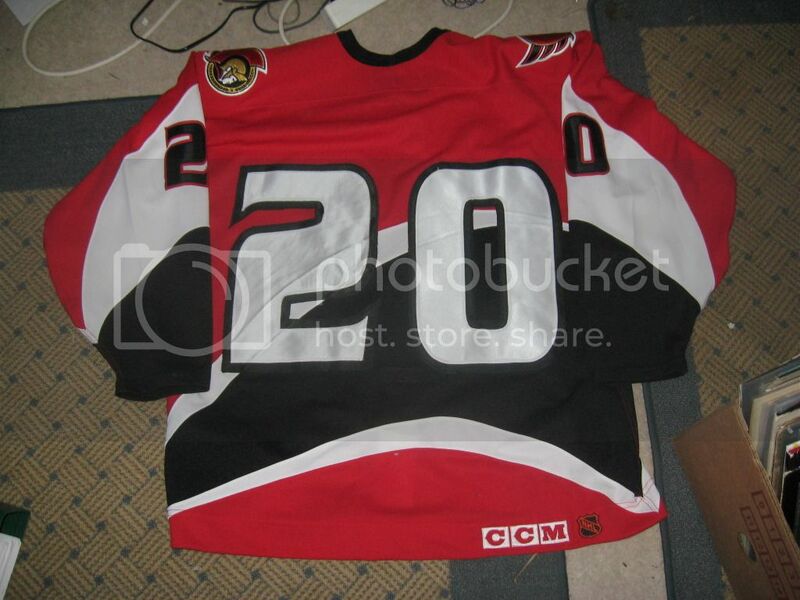 That Alfie jersey is a beauty! Thank you. They actually screwed up a bit with the name kit at 20 West Sports. The Captain's C is actually from the black jersey. 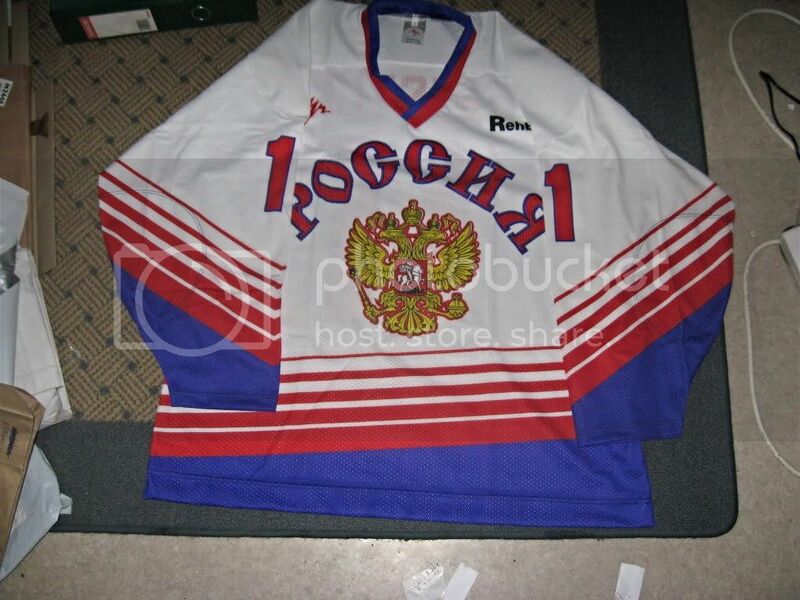 The white jersey has the red "C". 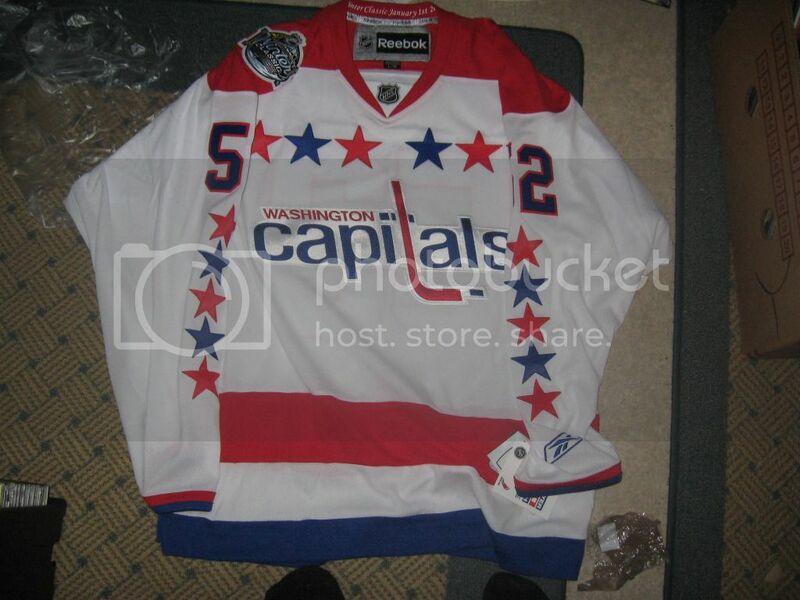 But when I saw the white "C" on that jersey I just thought it looks perfect on it. You can't really tell that it's the wrong color. It fits. 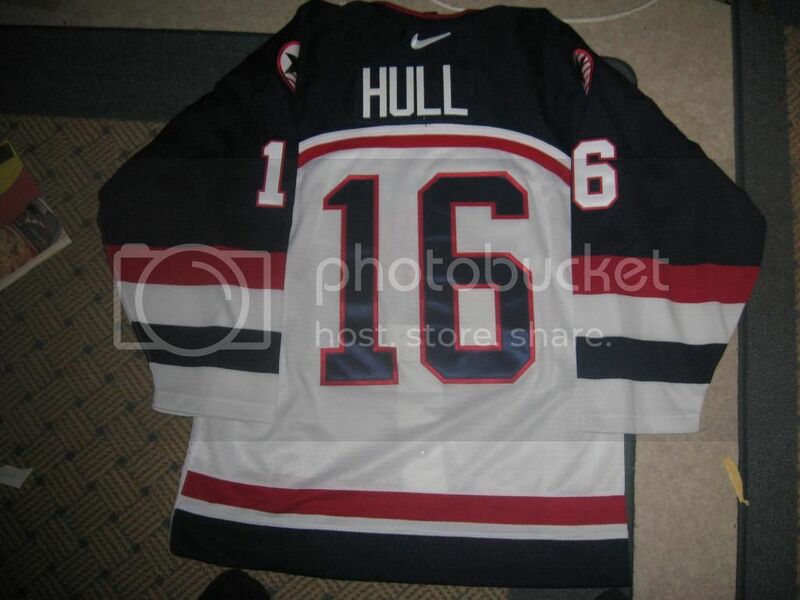 Team USA Salt Lake City Olympics #16 Brett Hull. 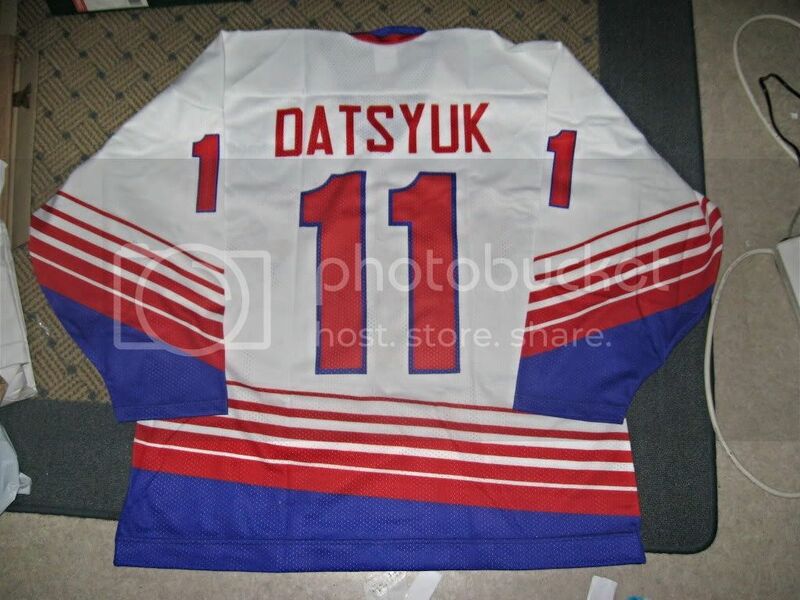 Although I will probably get a new number kit because those look ptastic and shiny. 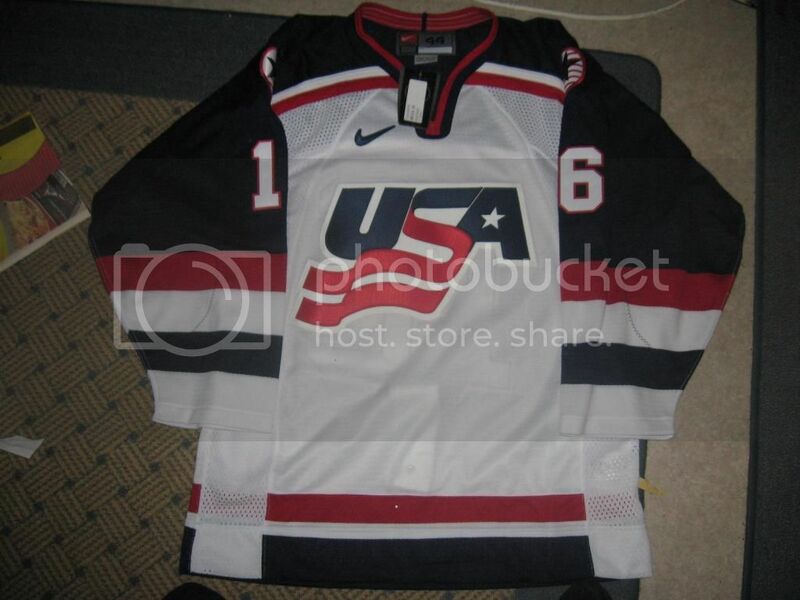 Nice USA jersey, but it's from the 2002 Salt Lake games, not 1998 Nagano. Thanks for pointing that out. I realized that my Jagr was also from the Salt Lake City games.